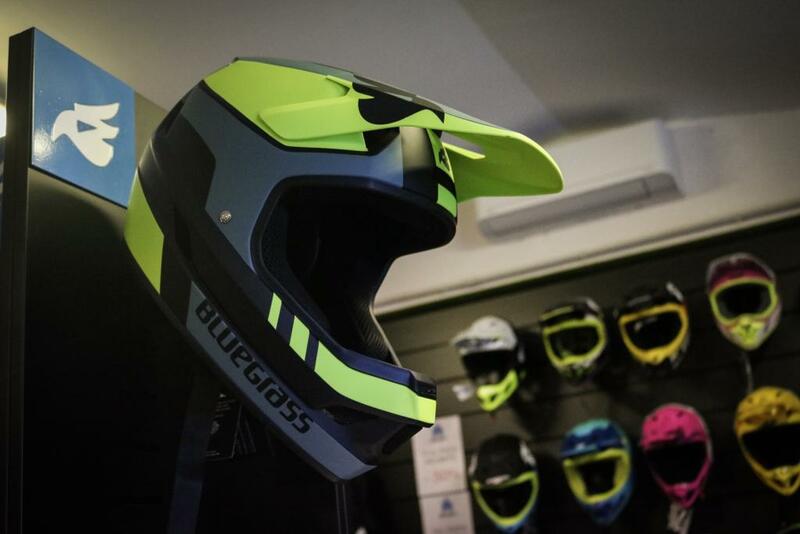 Finale Ligure is arguably the home of enduro mountain biking as we know it today. Since the late 90's trails have been built here with mountain bike tourism in mind. The Enduro World Series has hosted it's final round here every year since it's conception. Despite 2018 being the last year of this tradition, the legacy continues with the Trophy of Nations in 2019. This new team style event will be an awesome season ender, ensuring the last race of the season finishes as it should, at the sea. 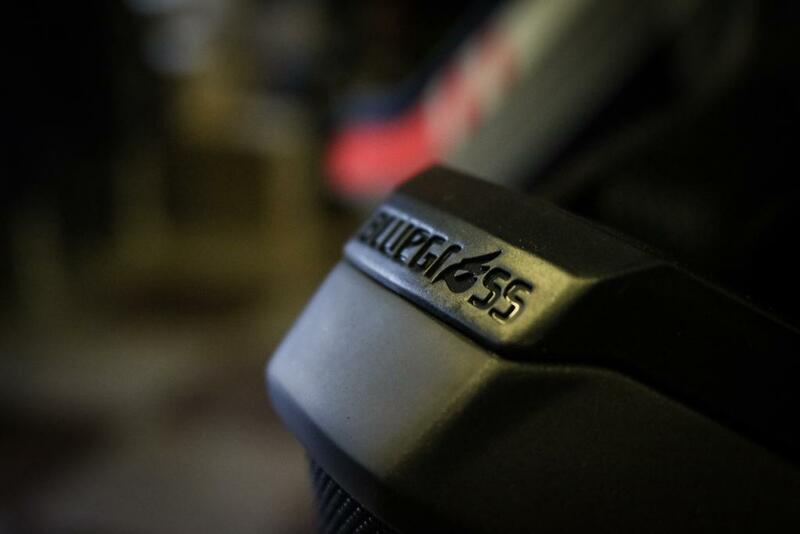 All of this action and opportunity has given rise to uplift companies, guiding services and bike shops a plenty. We have already introduced to our friends and partners at Ride On Noli, and our neighbours (close to it anyway) Oddone Bici. But who else do we work with here in Liguria? Since our first days here in town Ultimate Bikeshop have been uplifting us, helping out our clients and being generally awesome, having now worked here for over a year, we'd consider these guys not only colleagues in the industry but friends. 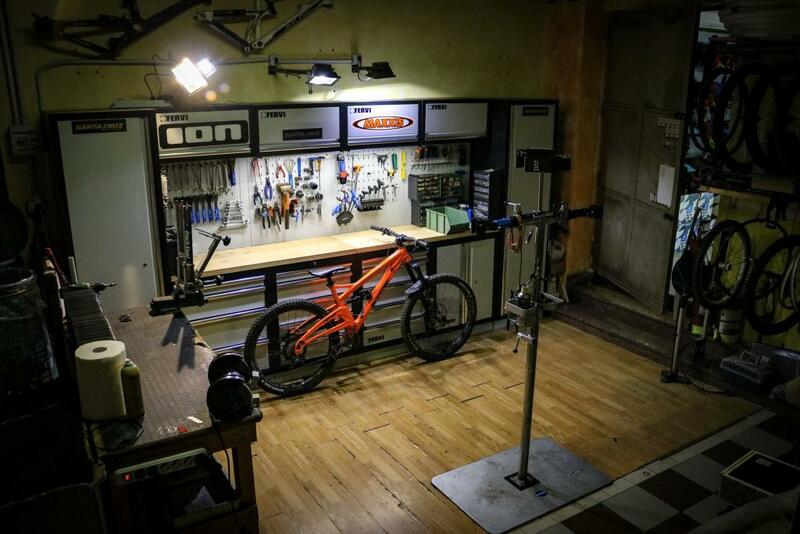 The Ultimate Bikeshop was a dream realised by Riccardo Recalcalti in 2012, from small beginnings they now have 4 uplift vans, over 20 Santa Cruz and 7 Focus E-Bikes to hire. Housed in a big facility just outside of Finalborgo. The shop is a local meeting point for many shuttle companies and is often the place you'll find local celebrities like Party Paolo. Everything is looked after by Riccardo (Ricky), his sister Alessandra (Ale) and a solid team of mechanics, with one of the biggest stocks of parts in town. One of the most important services they offer is the single uplift. What do you do if you're not on a full days shuttle service? What if you've only just arrived in town or what if you just want a relaxed ride without going all in for the full day? These guys have you covered. 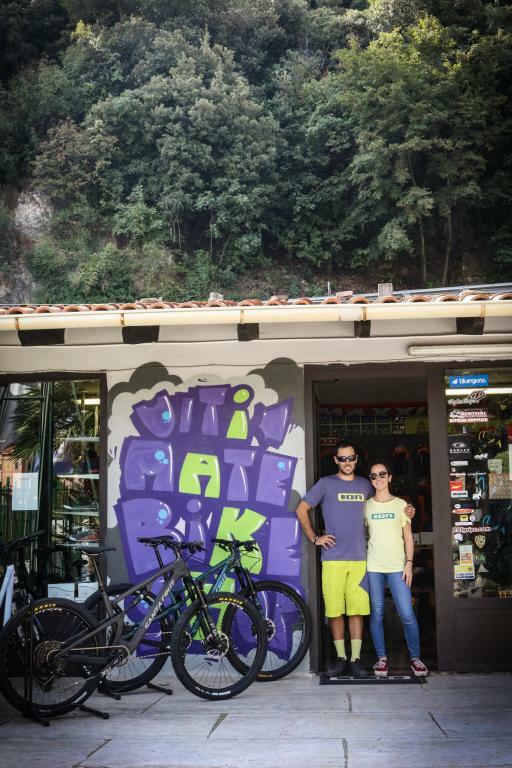 For 10€ they will shuttle you up to either Din Cafe in Melogno or the Nato Base, saving yourself a 2 hour + pedal up from town to some of Finale Ligure's best trails, offering you options of up to 20km descending, bargain! That's 50c a kilometre! Running every hour and a half from the shop, it's not a bad idea to call early as they can fill up real fast. 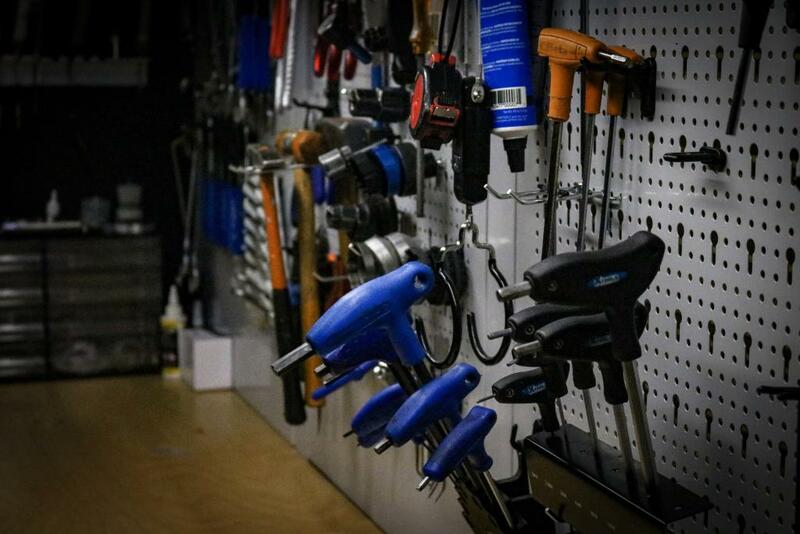 Ultimate Bikeshop can offer you a van and guide for the whole days riding aswell. Or, want a van and to guide yourself? No problem they can arrange it. So your options are fully open to explore Finale Ligure's insane trail network anyway you like. 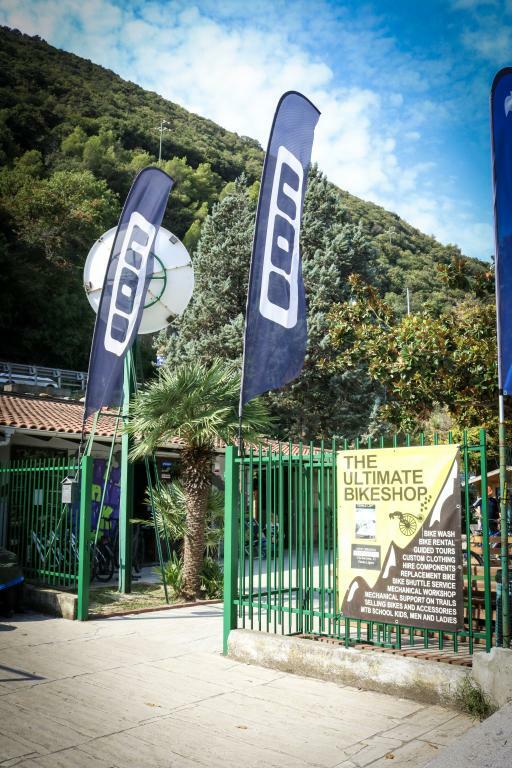 To book with accommodation MTB Beds in Finale Ligure check the property pages below!